Carol Helstosky’s “Five Myths: Pizza” was as welcome as Friday nights in millions of households in the United States or even memories of long-ago breakfasts — when much younger, left-over slices served at room temperature since someone forgot to cover the box and put in the refrigerator overnight. 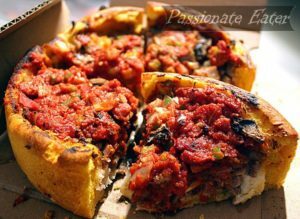 Sure, Uno’s, not far away, can claim the patent on deep dish; but Gino’s had perfected it — in a wonderfully Chicago way of exuberance. Had “official” New York-style sort-of-thin crust slices in the spring, but longed to go back to my roots. And oh yeah, the Safeway rising crust Supreme isn’t bad — not only on Fridays.